Vitiligo is the appearance of white patches on the skin, which is due to a deficiency in the melanin pigmentation in our body. One of the best ways of treating vitiligo is to use anti-vitiligo oil which is a natural medication derived from natural plants. Anti-vitiligo oils are free from chemicals and can be used for any type of skin. They do not come with any side effects as they have only natural ingredients. 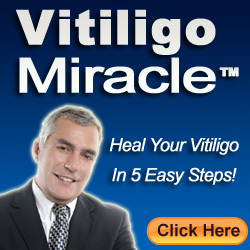 The main purpose of anti-vitiligo oil is to reproduce the pigment melanin and to cure the problem of vitiligo. There are many ingredients used in anti-vitiligo oil. All of them are natural – they are coconut oil, black cumin, barberry, and Psoralea corylifolia. Just a few of the health benefits of coconut oil are it is great for skin care, it helps in the maintenance of cholesterol levels, it aids in weight loss, it is used for hair care, and has also been used for the management of diseases such as HIV, heart disease, and cancer. It is rich in vitamin E and also helps in protecting the skin from harmful UV rays. It contains substances such as capric acid, lauric acid, caprylic acid, and antimicrobial lipids. All these properties help in treating immune system disorders. A type of seed which has been found to reproduce the pigment melanin is the black cumin seed, and this is why it has been included in the anti-vitiligo oil formulation. These seeds are grown in Egypt under perfect climatic conditions. They are also used to treat problems like headache and fever. Black cumin seeds are sourced from the Nigella sativa plant. The main benefit of this seed is it is used to prevent cancer and also helps in relieving minor ailments such as stomach pain, other digestive problems, and asthma. Barberry is a type of natural herb commonly used to prevent infections which are caused by bacteria and fungus. Apart from that, it also helps in maintaining blood pressure, relieving indigestion, and treating heart diseases and other disorders. However, there have been reports of barberry causing the side effect of diarrhea if it is taken in larger amounts. Also known as babchi, this is another type of herb which is more commonly found in China, but has been used in Ayurvedic medicine for thousands of years. It helps in treating many skin infections like vitiligo, eczema, and psoriasis. It is also used to treat chronic back pain and also helps ward off infections caused by bacteria, owing to its antibacterial property. This type of seed has a lot of coumarins, including psoralen, which protects the skin from the sun’s harmful rays by decreasing its sensitivity. It is also known for its antioxidant, chemoprotective, and anti-inflammatory properties.